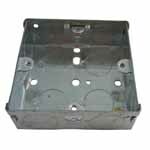 Galvanised conduit, boxes and accessories provide high impact protection to wiring installations and a high level of corrosion resistance. 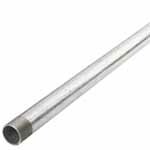 Barton Class 4 heavy gauge conduit hot dipped galvanised inside and out to BS4568/BS EN50086 part 1 gives a high level of corrosion resistance. 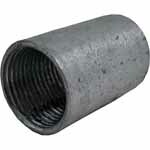 One end of the conduit has a screw thread, the other end a coupler, allowing lengths to be screwed together. 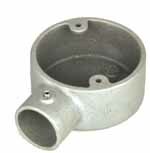 The lengths are used with galvanised circular boxes, which can be screwed on, if the lengths are cut then a new thread can be formed with a conduit stock and die set and the lengths can be bent with a Hilmor conduit bender. 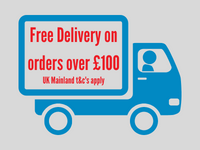 Each length is 3.75m long and are sold in bundles of either 8 or 4 depending on the diameter. 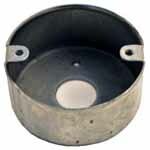 A full range of Barton Conduit Circular Boxes manufactured from malleable iron and hot dipped galvanised. 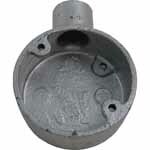 Available with 20mm or 25mm spouts the conduit boxes have an M4 tapped hole in the base for an earthing screw. 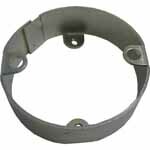 Conlok Conduit Boxes save time by removing the need to thread conduit tube. 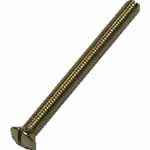 The spouts on Conlok boxes allows the conduit tube to slide in and is locked in place by means of a zinc plated grub screw. 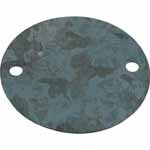 Galvanised circular box lids and rubber gaskets to suit. 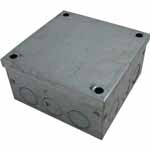 Galvanised switch and socket boxes used to secure switch or socket face plates. Available as single or doubles from 16mm to 47mm deep. 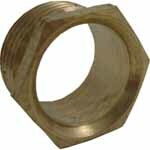 Brass bushes provide protection to cables when passing through enclosures, conduit boxes and conduit tube.